If you've missed it, @utopian-io is currently running a fundraiser on Indiegogo. Utopian is an amazing initiative that allows developers, translators, bug hunters, tutorial writers and everyone with a passion for Open Source, to get some financial compensation for their work on open source software projects. From my other account, @mattockfs, I've been on the receiving end of this amazing service when developing the Python asyncsteem library that I'm currently rewriting into a next gen asynchronous JSON-RPC library that supports STEEM, called txjsonrpcqueue, and when writing a series of tutorials about asynchronic programming in Python. While, as I'm spreading my time between my creative account @pibara and my tech account @mattockfs, I'm not one of the biggest content contributors, Utopian has played a big role in motivating me to work on my asynchronous Python work, and now that @utopian-io is running a fundraiser in order to help Utopian take the next step in its existence, expanding beyond just the bare technical, partially into the creative domain where the rest of my interests lay, but then of course limited to the open source domain, making a little contribution seemed like the right thing to do. To my surprise though, I was only number 17 contributing. Utopian is doing so much for the community and is a valuable part of the Steem ecosystem. We should be able to do better than just few contributions. This is not the prize YOU can win in this competition, this is the prize you can nominate your favorite Utopian project for. The price you can win yourself, if your nomination turns out to be the winner is 20 STEEM plus whatever the liquid author reward for this post ends up being. So what do you need to do to compete in this competition. Respond to this post with a statement that either you already contributed to the fundraiser, or that you pledge to contribute at least $5,- to the fundraiser. Name and link to the open source project with existing Utopian contributions that you would like to nominate. I pledge to contribute $10 to the Utopian fundraiser. I nominate the LightSteem project by @emrebeyler. That's it. Don't nominate me or my projects please. 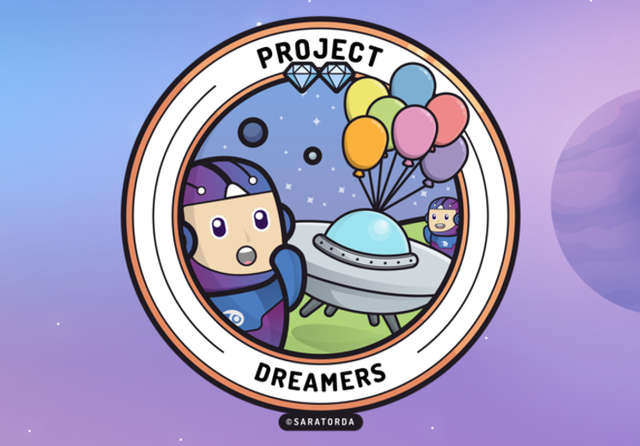 Nominating your own project is allowed, but if you end up winning, you will only win the Utopian perks while the STEEM/SBD part of the prize will go to the next runner-up. Multiple nominations for the same project. Newer or generally less known projects that need the exposure more. Existing Utopian contributions in multiple categories. Recent commits to version control. I nominate the BEEM project from @holger80! I nominate Steemgigs, just because it has a lot of potential, but isn't that well known. Congrats on winning this competition with your nomination together with @bozz. Please note, if you want to use your winnings to further aid Utopian Colony, you may want to check out the Fundition version of their fundraiser. Kind regards. Thank you for the amazing prize! I will be supporting Utopian for sure in the upcoming weeks! Am I correct in assuming you are this Daan? I pledge to contribute $10 to the fundraising campaign or more but I need to fix the credit card issue first because of where I am located. I want to nominate the new project @knacksteem.org as it has a lot of potential but needing some boost as it is at its initial stage right now. Thank you. Great. @jayplayco is the prime contact for that project, right? Don't forget to pledge (or state you already made) a contribution of $5 or more to the Utopian fundraiser. Any idea about the circumstances why @muksihs apparently stopped making pull requests to @dez1337? Time constraints, work, life, etc. I'd also like to throw my vote in for Steemgigs. It could be a great way for people to market and "sell" their skills. Congrats on winning this competition with your nomination together with @daan. Please note, if you want to use your winnings to further aid Utopian Colony, you may want to check out the Fundition version of their fundraiser. Kind regards. @pibara, thank you for supporting @steemitboard as a witness.